NRA Cerified Instructors provide an invaluable service in their communities by training hundreds of thousands of individuals annually. As more Americans choose to excercise their right to own a firearm, so too grows the need for these courses. Since 1871, a major objective of the National Rifle Association has been to provide education and training in the safe and proper use of firearms. NRA Instructor Training Courses help you develop the additional knowledge, skills and techniques needed to organize and teach courses in the NRA Basic Firearm Training Program. Instructor Candidates must possess and demonstrate a solid background in firearm safety and shooting skills acquired through previous friearm training and/or previous shooting experience. Instructor candidates must be intimately familiar with each action type in the discipline they wish to be certified. 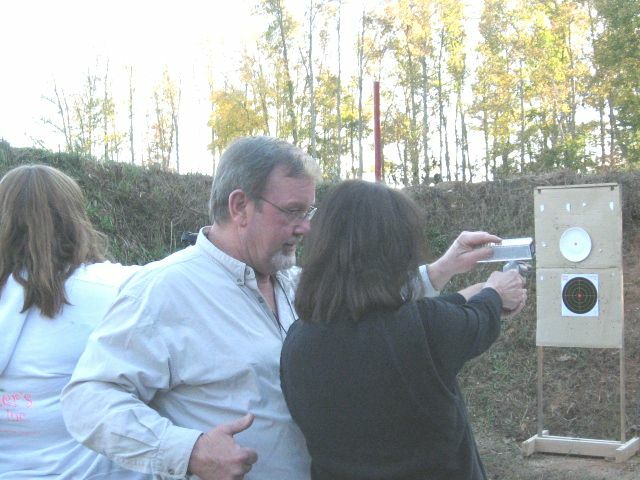 Canditates will be required to demonstrate solid and safe firearm handling skills required to be sucessful during an instructor training course by completing pre-course questionaires and qualification excercises administered by the NRA Appointed Trtaining Counselor.